I got my new copy of Runner's World in the mail the other day, and the New Year's issue always gets me excited to start thinking about what I want to do in terms of running in the next calendar year. For years my goals were always big races -- marathons or half marathons. But this year, I'm thinking about going in a bit of a different direction. If you've been reading for a while now, you know that last two years have been littered with injuries. Between my two broken feet, plantar fasciitis and torn meniscus, I've spent more time injured than healthy in the last 24 months. 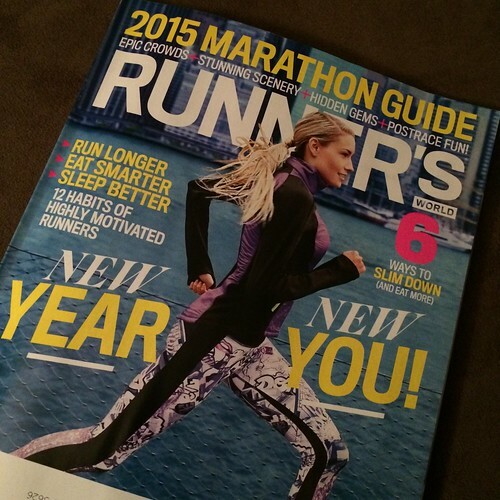 So my running goal for 2015 is to simply run healthy and bring the fun back to my running. By being realistic and smart about my training. I have a tendency to be a little bit stupid with my running. I don't run my easy runs slow enough, I don't ever pay attention to my heart rate. 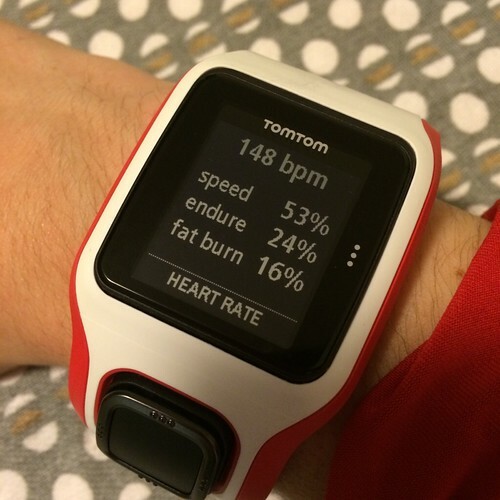 But my new TomTom Runner Cardio GPS watch will help me with some of that. One thing I really like about this watch is that the heart rate monitor is built right in. That means you don't need to worry about a separate chest strap, which up to this point is why I have never, ever paid attention to my heart rate. The watch detects your pulse in your wrist. And then after you're done with your run it gives you a break down of what ranges your heart rate fell in during the workout. I like how clear and easy to read the display is. The watch also captures all the other important running data you might want: pace, distance, time, etc. Don't judge my slowness here. I stopped to take a lot of pictures of Christmas lights on this run and kept forgetting to pause the watch. I'm hoping that by paying more attention to my heart rate and making sure that I'm running my easy runs at a slow enough pace that I'll be able to enjoy 2015 without any injuries. 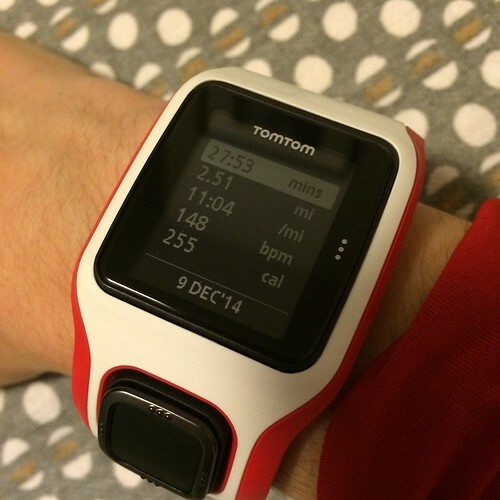 Want to try the TomTom Runner Cardio GPS watch yourself? Well lucky for you I've got one to giveaway. To enter to win, simply leave a comment telling me what your 2015 fitness goals are. Entries will be open until Tuesday at midnight ET. - Find time to work out amid the craziness of working full time, going to school, and sitting on more boards than a normal person should be on. - Run the AFCEA Race for Excellence course a couple times to prepare instead of running it day of like I have for the past 4 years. - Run one of the Baltimore Running Festival races. 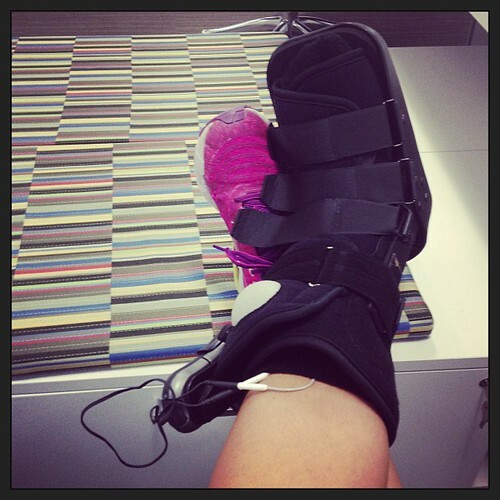 i plan on continuing with my walking regime started this summer. I can do a brisk pace (3.9 mph) for an old woman and I felt great walking. I too have had 2 broken feet and now suffer from arthritis but my feet do much better the more active I am. Sadly the pounding of the pavement for running is out of the question..
My 2015 goals are to have my baby in February and then safely and sanely get back to a workout regimen that works for my new life. fitness goals are to strength train and do more core work!! My fitness goals are to work on my core / hip strength to hopefully work towards a Fall Marathon. I also aim to be more consistent in my training. My fitness goals are to sleep well (more than 7 hours a night), drink more water, run 2x per week, and swim 1x per week. My goals are to break my longstanding 5K PR, set a new half marathon PR, and keep up with core work, strength training, and stretching. My goal is to consistently strength train this winter. I always say I will....and then I don't. I have 19 month old twin boys and am just now finally getting myself back in the fitness game. My goals for 2015 is to find a routine that's sustainable and something I enjoy enough to do a couple times a week. I just want some "me" time that's also healthy! My fitness goal for 2015 is to run races in the five remaining US states that I have not yet visited. I'll do the Little Rock marathon on March 1st as a start. My 2015 fitness goals include incorporating more strength training and cross training (including much needed yoga) into my regimen instead of only cardio (just bee lining it to the treadmill at the gym)! My fitness goal is to clean up my diet (again), to cook more (and not order out), and to get to the gym at least 4 days a week. My goals are to find a good balance of strength and cardio in my exercise schedule. Actually RACE a half marathon again, instead of just running it. My fitness goal is to break 23:00 in a 5k! I need to work on that cardiovascular endurance and HR training is key I've heard!! - figure out something else to do in addition to running! I want to run a sub 1:45 half! My fitness goals for 2015 are to work on strength exercises and uphill running/walking because I am hoping to climb Machu Picchu in May! My fitness goal is to beat my previous MCM time. Hooraahh! 1. Run my first 5K (scheduled for May)! 2. Gain enough arm muscle that by boss doesn't laugh when I try to pick things up at work! Yay! Healthy goals are good goals. I'm going the same route, 2015 is mostly trail ultra's & road marathons for me. Goal is 6-10 of them, and to stay injury free for the duration of the year. Going to hit up some open water swim races as well in the warmer months. 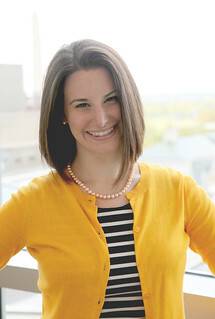 -Run more races with Jess & Emily!! Stick to a routine and don't fall into the habit of missing the gym/workout for weeks at a time. Faster in '15!! I'm so in love with distance I just keep wanting to go farther & farther, but I also don't like being such a turtle. So I'm going to focus on getting faster at the shorter distances before I pursue distance again. 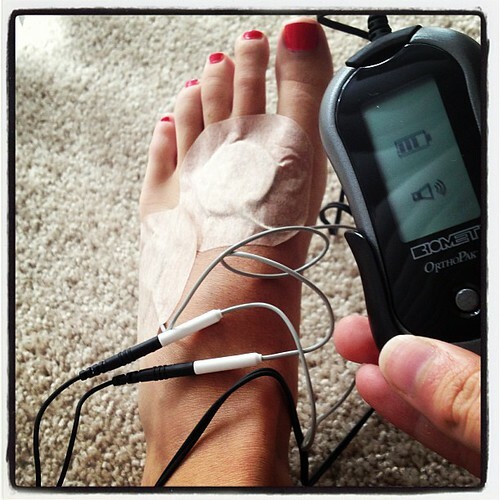 I too have really struggled with injuries, and spent all of 2014 paying attention to my heart rate (I wasn't perfect about it, aka sometimes let it get too high, but not very often). Drove my friends pretty nuts but definitely my least-injured year in many. I had my first baby in march of this year and have let my personal fitness routine take a backseat to spending time with my baby (totally worth it :) however, I am determined to make time for my health so I can be a fitter, healthier mama! Would love to set a half marathon PR...I seem to get slower every year. My goal is to start running again. I pushed through four half marathons with awful plantar fasciitis and finally made myself take a break from it. That break lasted the rest of the year and I'm more than ready to get back to running! To run my first 10k post-baby! To run my first marathon! I've done a few halfs and have established a good running routine again after baby #2 was born last spring, so I'm ready to hit the road. I pay a visit daily a few web pages and sites to read posts, but this web site presents feature based writing. Yes! Finally someone writes about cosmetic dentist.